The changing of seasons always signals the changing of decor to some. 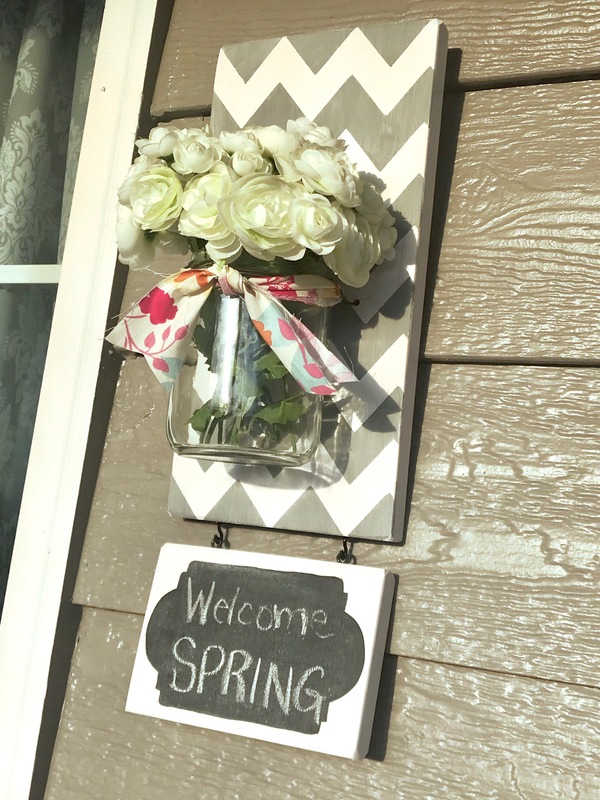 Creating a welcoming porch is the first thing you should think of when thinking of home decor. Your porch is the FIRST impression that you give friends and family. when they visit. 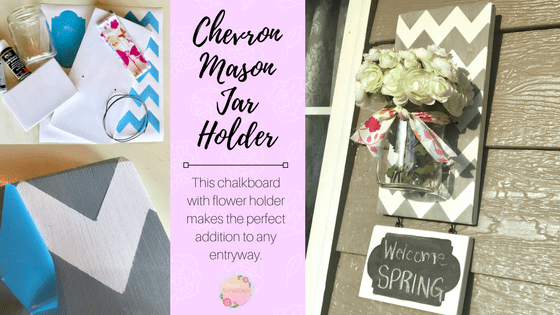 This Chevron Mason Jar Holder with chalkboard is the perfect way to swap out seasonal flowers and with the chalkboard, you can write fun notes or welcome the upcoming holidays! 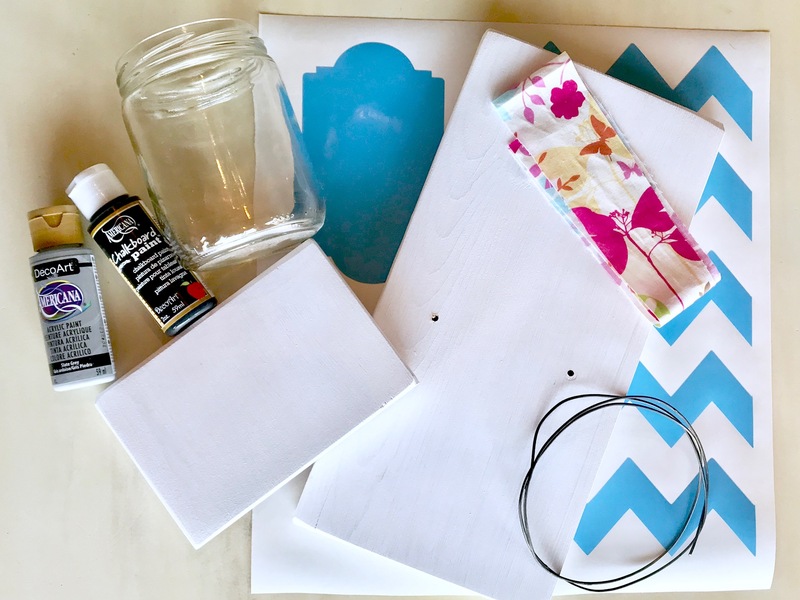 With just a few supplies, you can have your own made in no time! 1×8 piece of pine wood. One cut at 15 inches and one cut at 4 inches. 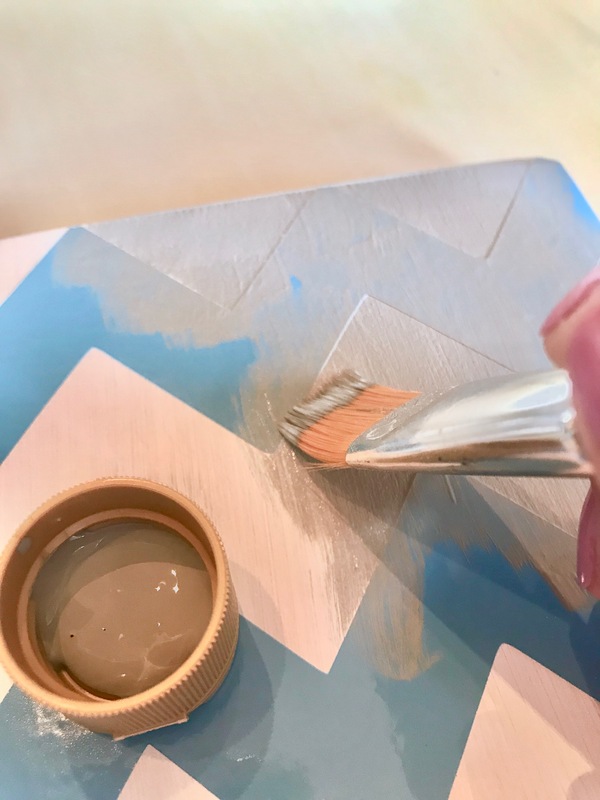 DecoArt Paint in a neutral color and chalkboard. The neutral color will make it versatile through year-long decorating. Paint both pieces of your wood white. 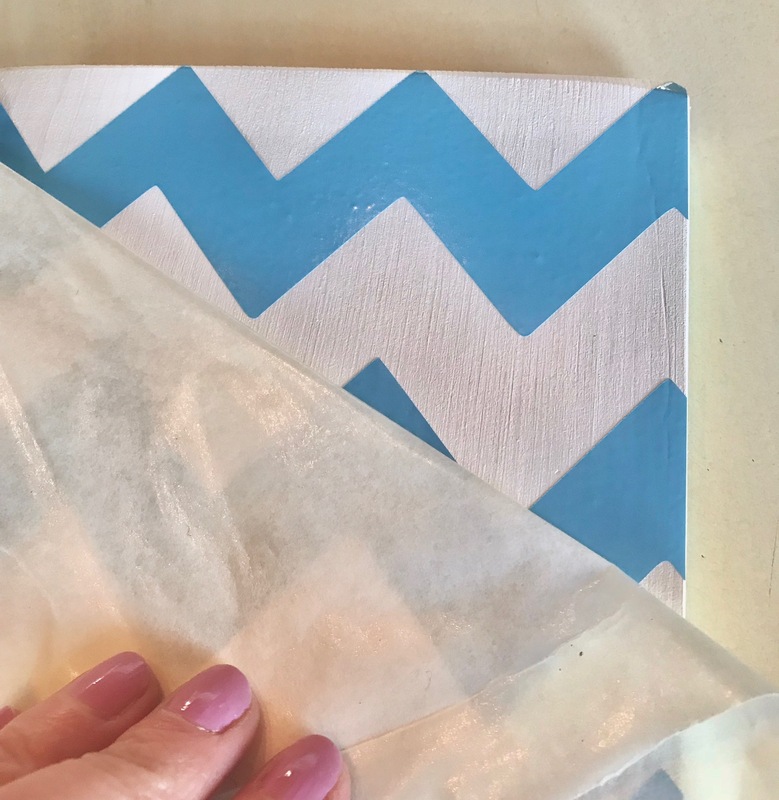 Let dry completely. 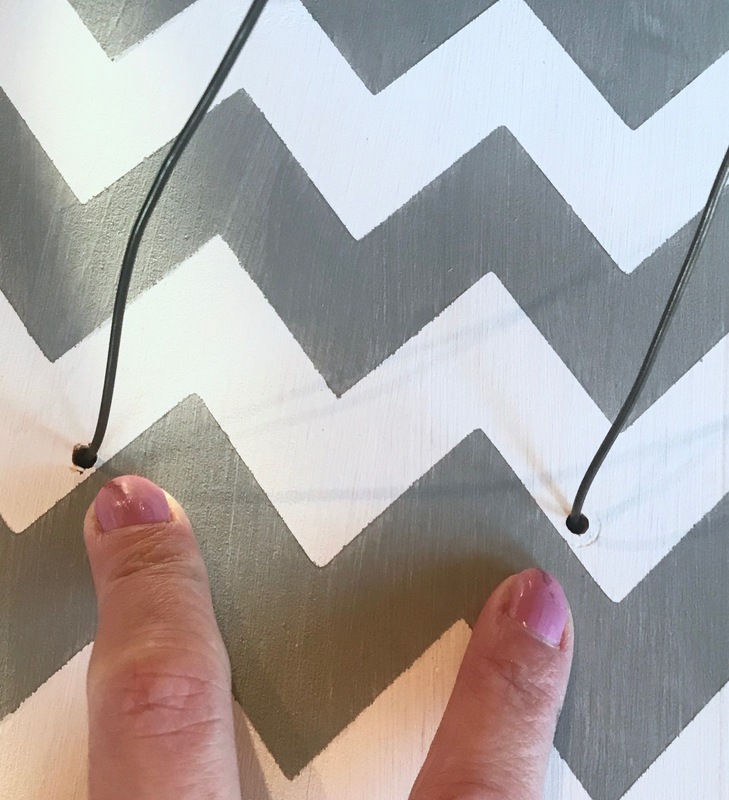 Apply chevron stencil to larger board and frame stencil to smaller board. 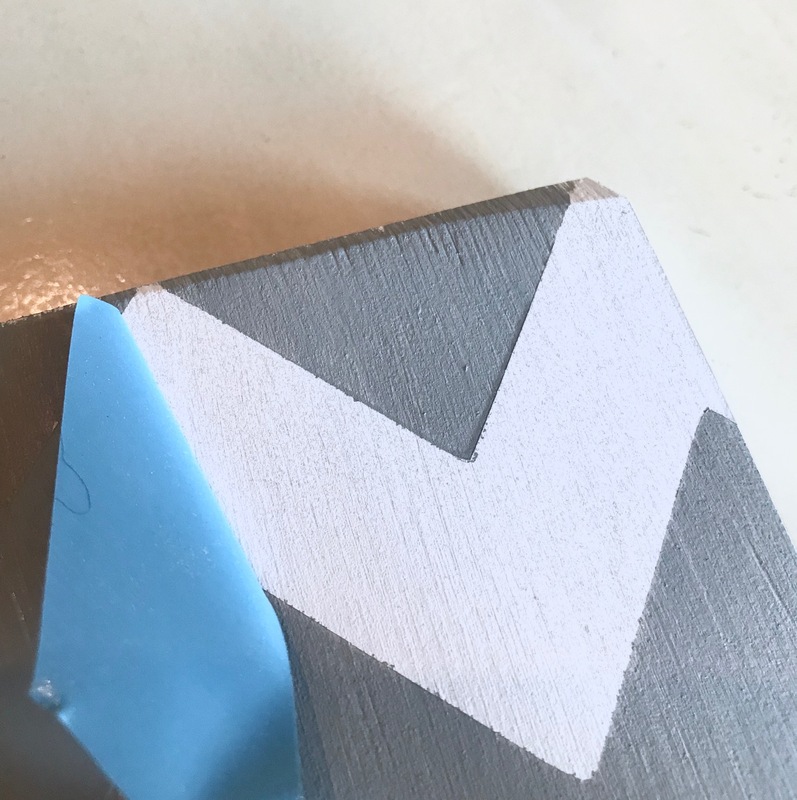 Paint over the chevron stencil with the neutral paint (I used gray). Let dry and remove stencil. 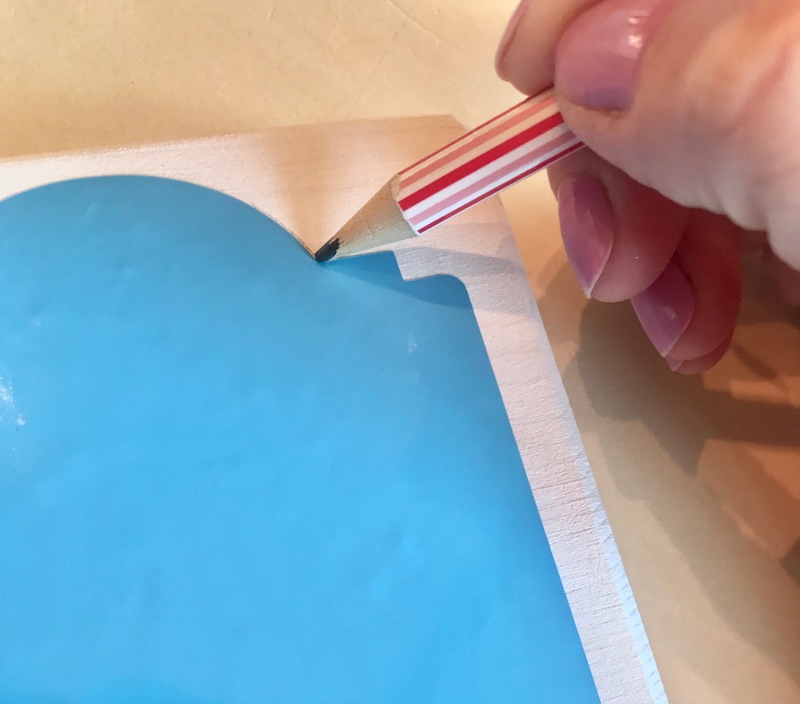 Trace the frame stencil onto the smaller board and remove the vinyl. 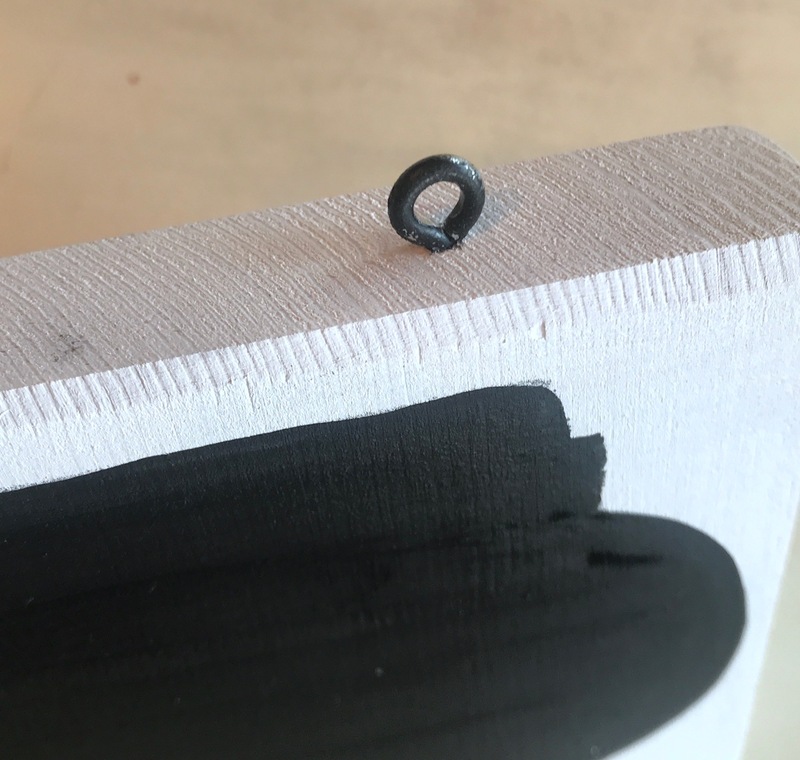 Using a small brush, paint the inside of the frame with two coats of chalkboard paint. You will need two light coats of chalkboard paint. Laying your jar on the large piece of wood, mark the placement to drill two holes near the top outside of the jar. Using the wire, thread it through the holes that were drilled into the large board. Start at the back and thread to the front. 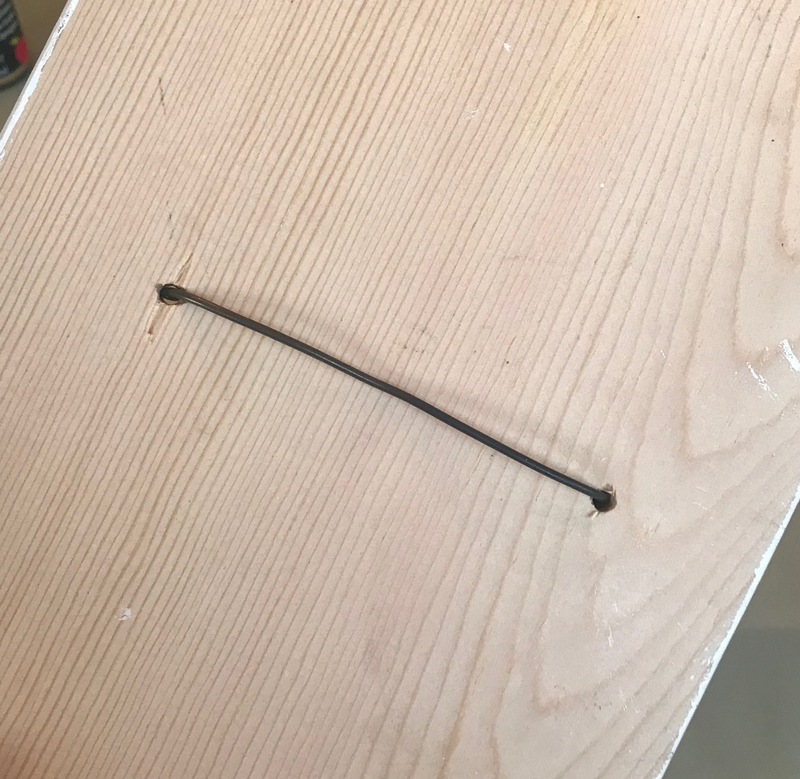 Place your mason jar on top of your board and using needle-nose pliers twist the remaining wire around the jar. 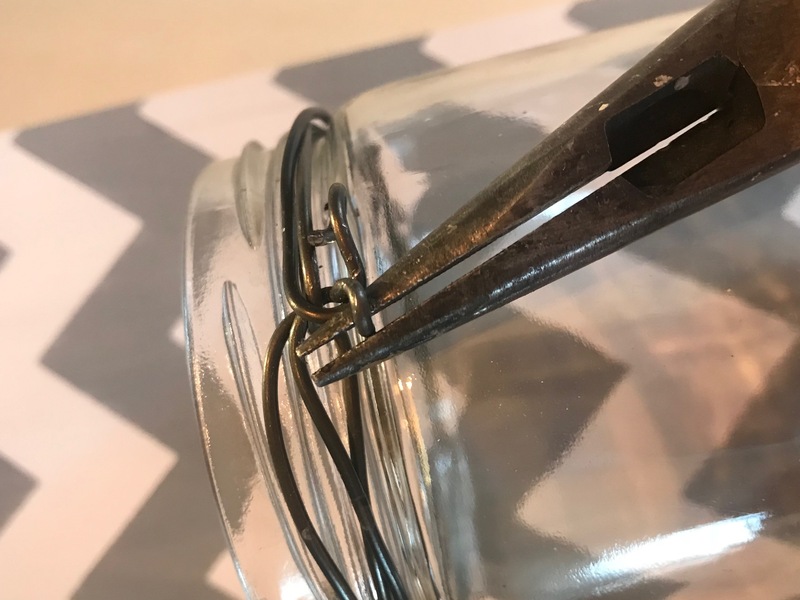 Twist the ends of the wire to the front of the jar and wrap them underneath so they don’t poke out. 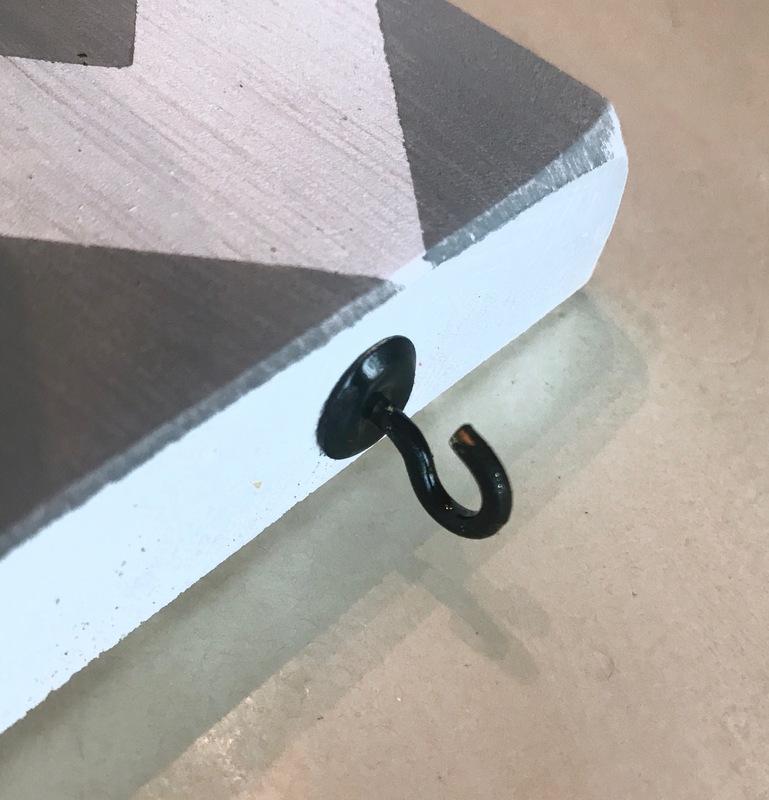 Twist the eye hooks into the top of the smaller board and the two cup hooks into the bottom of the larger board. Make sure that they space is the same so they match up evening when you hang the bottom board from the top board. 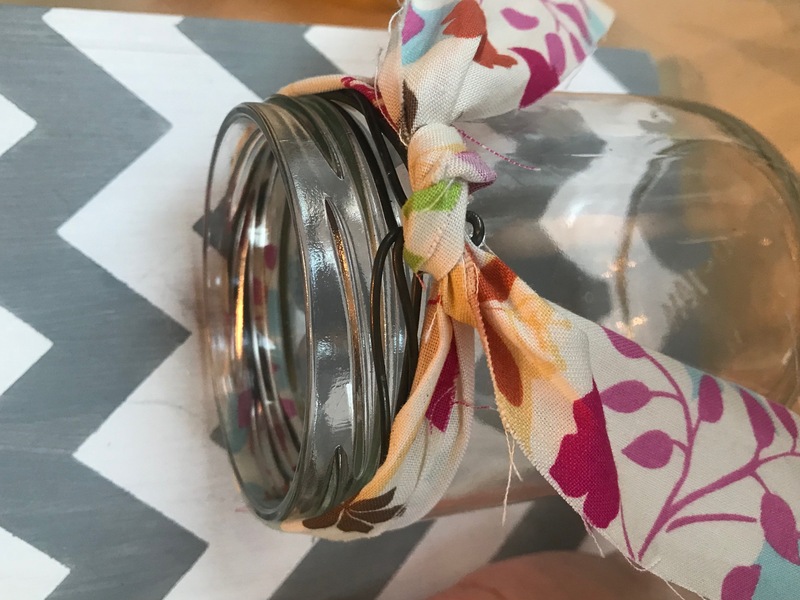 Tie the fabric strip around the jar into a bow or knot. This is for decoration and to cover up the wire – if you desire. Attach a hanger onto the back. Hang the bottom smaller board using the hook and eyes. Using chalk, you will need to “prime” your chalkboard. Take the long edge of a piece of chalk and rub over the entire chalkboard. Wipe off. Now your chalkboard is primed. If you skip this step, you will be able to see remaining letters from your writing in the future. 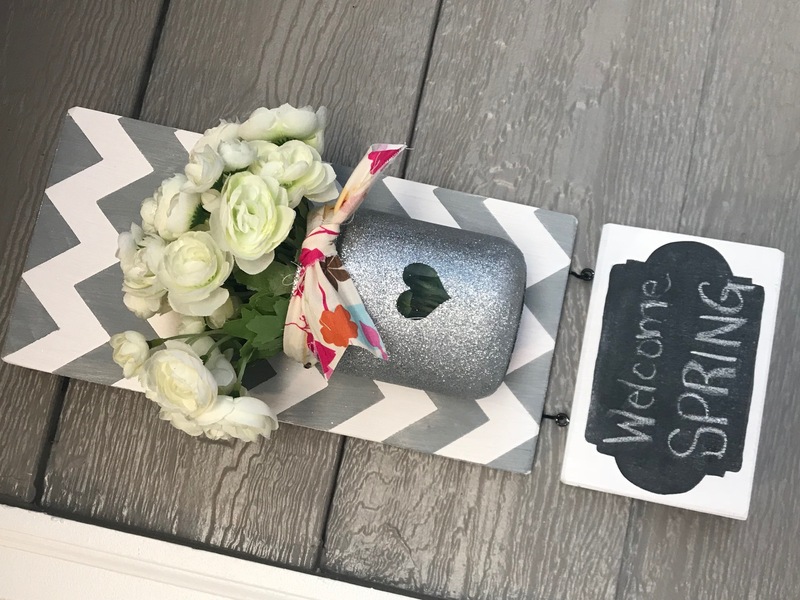 Display with your favorite flowers! I decided that I wanted to add a little bling to mine, so I used a heart stencil and glittered the outside of my jar. If I can use glitter in my projects, you can bet I’m going to be using it! This makes for a GREAT housewarming, Mother’s Day, or birthday gift. 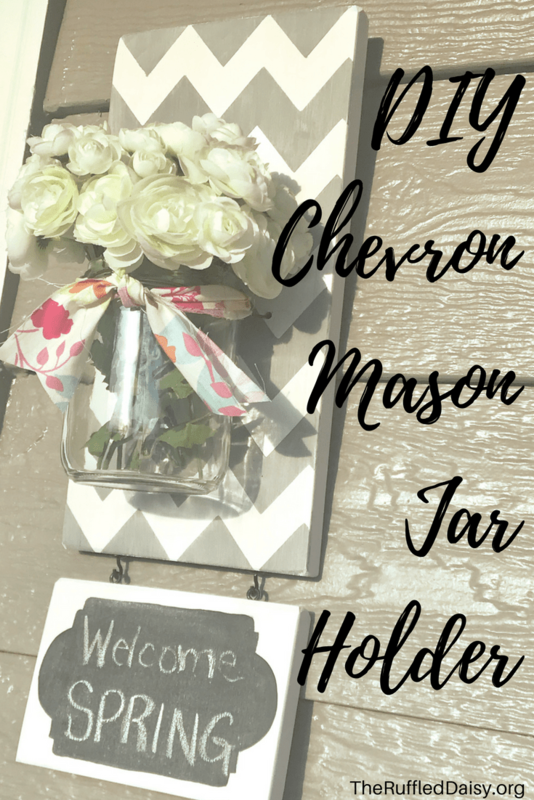 I enjoy making pieces that are versatile and be used year round and this Chevron Mason Jar Holder is perfect for just that! What have you been working on? What is something that you use year-round but just change slightly for seasons or holidays? This is so totally adorable and chic. I love it ! Too bad I’m not very crafty. but I will certainly try this. That’s a really cute way to display flowers! I’ve been looking for a cute display like this. Thanks! Cute! I had no idea this was so easy. This is really cute and also has a purpose. I can actually see myself making this. This is so cute!! I envy those who are good at DIY projects. I’m so horrible at them and being a perfectionist, I get way too stressed doing them too haha but my MIL could make this in a heartbeat so I’ll have to see if she could make it for me!